From boycotts, workplace action and memes, to political campaigns, disaster relief and civil disobedience. People power can take many forms depending on what kind of change you’re looking to achieve and who has the power to make that change happen—whether it’s a government, company, community or individual. Below is a list of people-powered tactics that we hope will help you define your strategy and generate ideas. While this was originally put together in October 2015, when MobLab was a part of Greenpeace, we believe the tactics and examples remain as relevant today as when this was first published. The voices of many can now match the marketing budgets of even the biggest brands, making consumer pressure an effective way to influence companies to change their ways. Companies, and the brands they own, are more and more responsive to people power in the digital age. 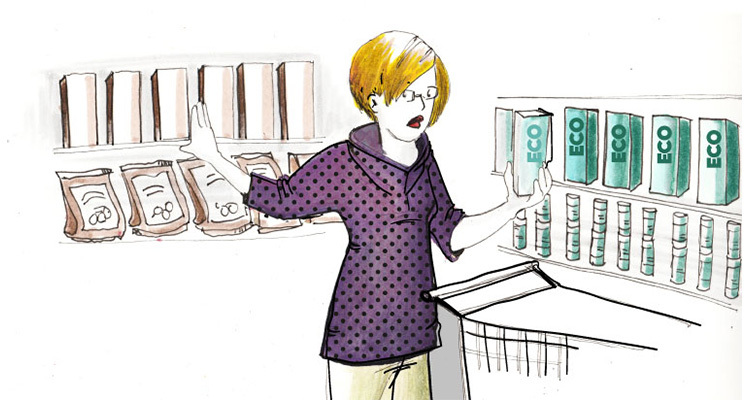 Studies show that people prefer brands they know and trust. As a result, brands are sensitive to public pressure and will go to great lengths to protect their reputation. A brand includes the entire experience a person has with a product or service — including the name, visuals, feel, communication style, taste and sound. For example, Coca-Cola’s brand is not just the word Coke, but also the design of the bottle, the special recipe, the sound of the bottle opening, the history and the advertising around it. Any of those brand elements are subject to pressure. People can put economic pressure on a company or brand by refusing to buy products or services, as happened to protest Shell’s involvement in executions in Nigeria or, famously, in the civil rights movement in the United States. Many Greenpeace campaigns have creatively adapted a brand’s design and messaging to expose its actions. This “brand jamming,” like a campaign against Nestle, poses a risk to a brand’s reputation. People can send emails, faxes, and letters to a company. SumOfUs.org, for example, focuses on holding corporations accountable for their actions. People can use tactics designed to shame or harass campaign targets and people close to them, in a way that gets the target to want to give in to make it stop. These efforts may include anything from well-targeted Facebook ads to a constant stream of protesters in the target’s neighborhood and stores, like Walmart. A campaign can encourage or reward positive corporate actions with a buycott that asks people to use their purchasing power for good. For instance, products with the FSC logo support sustainable forestry. 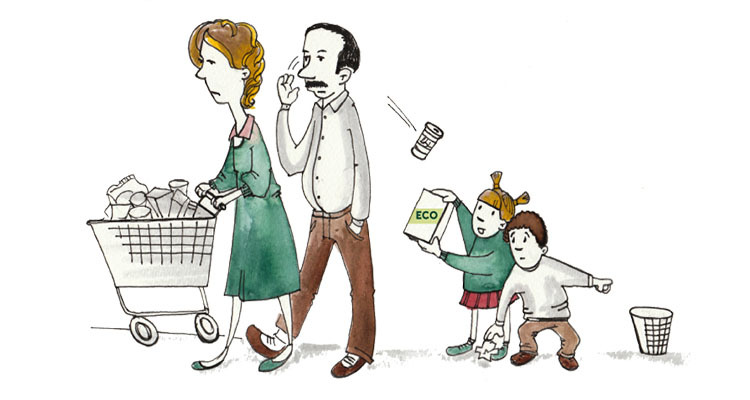 Helping people spend their money wisely encourages good behaviour by forest products companies. Consumer guides that provide information and ratings based on a set criteria (like Greenpeace’s Guide to Greener Electronics) may be part of a buycott effort. People can also directly influence companies by asking for the help of shareholders, employees, investors or partners of the company. Anybody who has the potential to pressure a company’s investors, leaders or even employees has the ability to influence corporate behaviour. Because of its directness, corporate pressure can work quickly if you can engage these special groups of people. Encouraging investors to move their money towards better options (or simply away from bad options) is a powerful tactic. The Fossil Free campaign is a global effort to promote divestment from fossil fuels. To date, hundreds of companies have joined a movement that has pulled investments worth trillions of dollars from oil, coal and fossil fuels. ShareAction is dedicated to campaigning for responsible investment by the pensions industry. 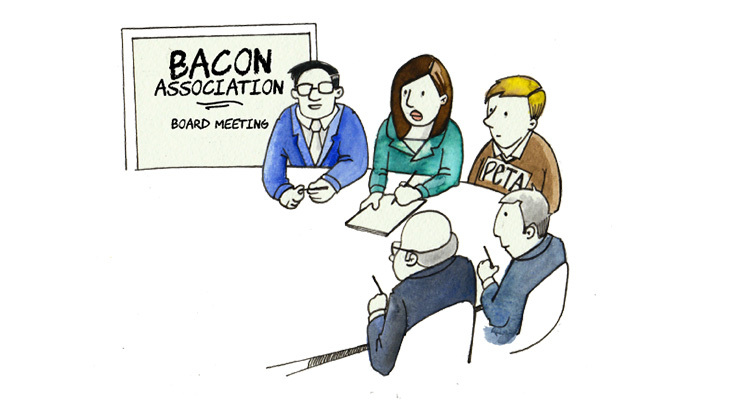 Shareholders can influence the direction of a company, particularly through resolutions and votes at Annual General Meetings. You can work with shareholders sympathetic to your cause or consider becoming a shareholder yourself. PETA, for example, owns stock in more than 80 companies so it can engage in shareholder actions to improve conditions for the animals. Employees can be encouraged to raise issues with managers and colleagues. Employees can also provide insider information that may expose a problem or inform your campaign strategy. Jeffrey Wigand, for example, was a tobacco executive who revealed that his former employer knew exactly how addictive and lethal cigarettes were. Wigand’s activism eventually led to the tobacco industry’s $246 billion litigation settlement. Customers, investors, and others affected by a company’s actions can together sue a company. There are many examples of successful group legal actions, sometimes called class action suits. Residents of Hinkley, California, took action against Pacific Gas and Electric in a case made famous by the film "Erin Brockovich". Organising workers to collectively negotiate with a company may be the most well-known corporate pressure action. Workers may even walk off the job until a company agrees to their conditions. Successful worker actions have been organised by unions of steel workers, railway workers, and even baseball players, to name a few. Today, many non-union employees also use a combination of online and offline strategies to organise across the workplace or labor sector. #FightFor15 is one example. There are many ways to influence governments and politicians, all of which can shift laws, policies and regulations. Governmental and political structures are complex and vary widely across the globe and local laws can restrict the ability of organisations to engage in politics. Here are some widely used (and effective) political pressure tactics. People can meet with their political representatives in person to discuss an issue. Rallies, marches and vigils are commonly used to protest the actions of politicians or a government. In many countries, people can directly contact politicians and government officials with emails, letters, telephone calls, and social media. Some campaigns, like the hand sewn messages created by the Craftivist Collective, have been more creative. Letters published in local newspapers, magazines, or blogs are often read by a politician or his/her staff, especially if they mention the politician or are related to an issue s/he is working on; the same is often true for call-in segments on local TV and radio. If there is a political candidate you think has the power to make a change that is important for your cause, you can rally people to support their campaign. Encouraging people to vote one way or another— or doing work to increase the number of voters likely to support a preferred candidate—can influence politicians or get better ones elected. Anti-corruption campaigns in Italy, for example, affected the outcome of recent elections. Exposing a problem is often the first step to harnessing people power. People will only invest energy and time in a campaign when they understand why it’s important, how they can help and what the solution is. Awareness campaigns are often combined with other people-powered change strategies that give people ways to act. If enough people share campaign messages on Twitter or Facebook with a hashtag, the message may ‘trend’ and receive even more attention via app interfaces that highlight trending topics for users and widely followed major media outlets that amplify these memes by reporting on them Some campaigns and social movements, like #BlackLivesMatter, come to be known by their hashtag. Films (including short documentaries or animated clips), books, magazine articles and blog posts are all places to develop a narrative about your issue. The Story of Stuff is an example of a group using online videos to spread its message. Facebook and other social networks are good places to share memes, photos and images overlaid with text. Many organisations have “taken over” Facebook profile images to quickly raise awareness on the network. Local groups or individuals can invite their networks of friends and/or colleagues to come and see a film, for example, the many screenings of "The Corporation". Art can capture the imagination (and media attention) of many who may not otherwise pay attention. In June 2015, the UK group Liberate Tate wrote quotes from scientific reports and other documents about climate change on the floor of the Tate Modern’s Turbine Hall. The art project was part of an ongoing campaign protesting British Petroleum’s sponsorship of the museum. Organisations can work with schools or local groups to create learning materials or lesson plans. Plan International’s "Because I am a Girl" school resource pack is one example. Organising is a form of leadership. Identifying, recruiting and developing skills that help others act and become leaders themselves builds a community’s ability to control the forces that affect it. 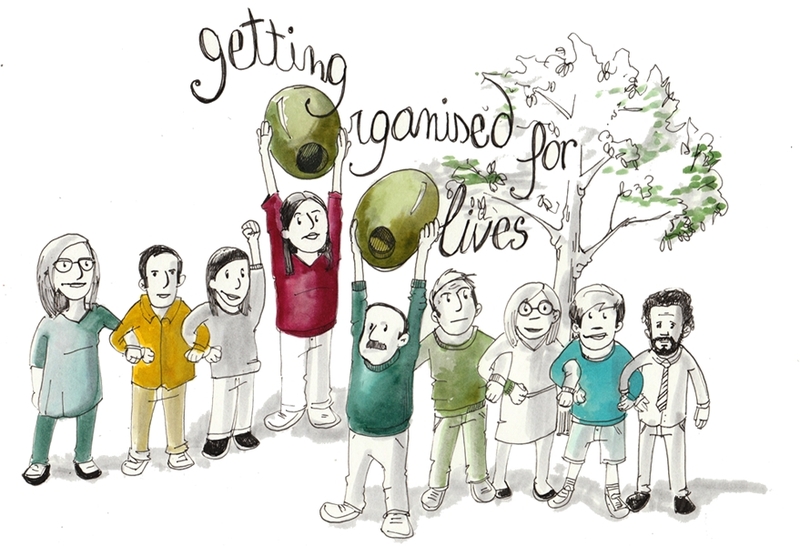 Large-scale change is possible when organising is coordinated across many communities at the same time. There are many great examples of organising that have captured headlines and brought about real change on the ground. A community can come together to change laws or policy. For example, farmers in Yirca, Turkey, stopped construction of a coal fired power station in their olive groves. In Balcombe, UK, local people opposed natural gas fracking while installing their own renewable energy through Repower Balcombe. European fishers and coastal communities are pressuring politicians to reform European fisheries laws. In 2014, a year of organising in response to Beijing’s increasing controls on Hong Kong’s local government resulted in mass protests. Perhaps the most famous political organising effort in recent memory is the Obama campaign for election in 2008; people nationwide organised to knock on doors and campaign in their neighborhoods for Obama. Volunteers bring new skills, energy and ideas to a campaign or organisation (and may also increase how much you can get done). The benefit goes both ways: volunteers give skills, knowledge and time while receiving experience, new friends and satisfaction. Volunteers can lobby elected officials, handle local media or even run their own campaigns. There is a growing field of online volunteering options including posting to social media, creating online campaigns, organising online for events and activities, blogging and much more. Well educated and/or highly skilled people can provide valuable services that are difficult for organisations to afford or manage. 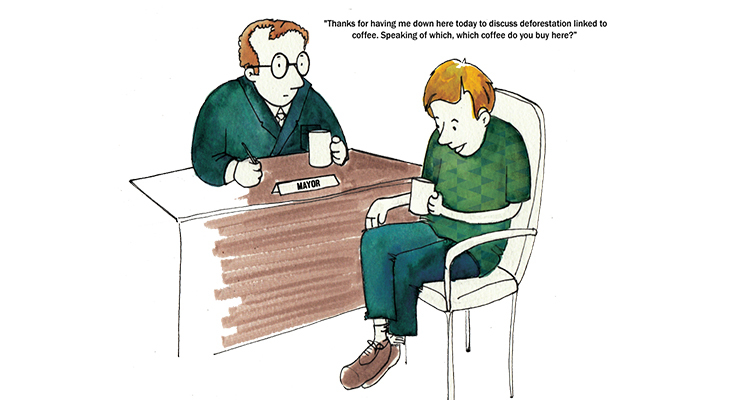 Doctors, for example, provide emergency aid through Medecins sans Frontier. Greenpeace Russia’s forest and grassland fire fighters are also volunteers. Volunteers provide invaluable services after a natural or man-made catastrophe. People often travel large distances to provide their skills and labor in the aftermath of a disaster. While the Internet allows others to provide support services, such as mapping out the crisis in the aftermath of the Haitian earthquake in 2010 which helped to save lives. Every other method of harnessing people power in this guide can potentially be conceived of, organised and/or carried out by volunteers. The internet is enabling large groups of people to take on tasks, get involved in decision making, and contribute to solving specific problems. Crowdsourced campaigns organise efforts across communities, social networks and groups to draw on a deeper pool of creativity, knowledge and resources. Fifty local volunteers helped the School of Data map garment factories in Bangladesh following the Rana Plaza collapse in 2013. Have a complex problem to solve? Competitions or challenges can funnel experts and interested amateurs towards solutions to specific tasks. Greenpeace solicited designs for a water pump which resulted in the successful creation of a portable water pump powered by solar energy that is now being used in Bihar, India. 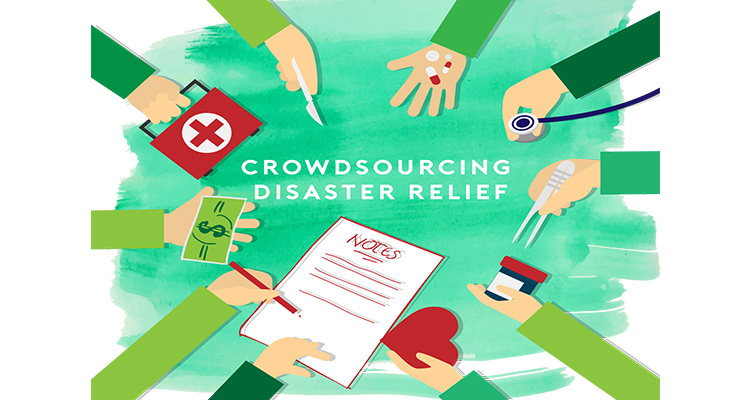 Crowdsourcing can help find information. Thousands of people scanned high resolution satellite images during the search for Malaysian Airlines’ Flight 370 in 2014. Colleagues in Greece raised €40,000 in a crowdfunding project to retrofit a primary schools for energy efficiency including heat insulation, replacing frames and glass panes, and replacing the oil boiler with a new biomass pellet boiler. 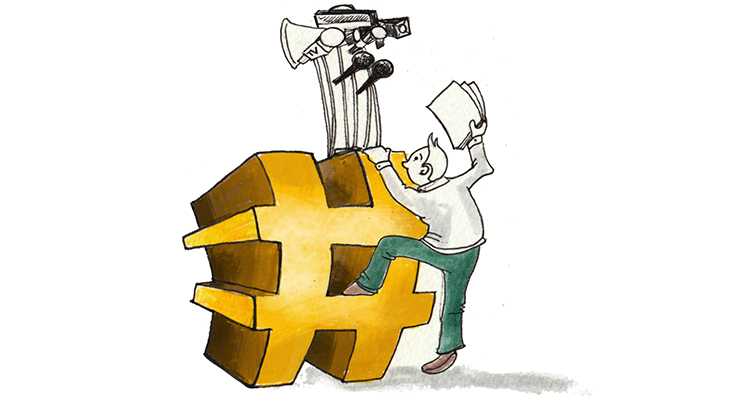 Crowdfunding can also support legal action against a company or other campaign tactics. Donations allow campaigns and organisations to conduct sustained research, investigations, and education, pay for equipment and much more. Money is important, of course, but people can also donate goods that can be used or sold. Donations also offer a way for the donor to connect with a cause they are passionate about and see the good their money, goods or services can do out in the world. Dinners and other events can raise funds, engage volunteers, thank activists and expose new people to an organisation. A variety of online tools make it easier than ever for people to run their own fundraising campaigns on behalf of an organisation or campaign. Individuals may hold events or take on a challenge such as running a marathon. Organisations (and their staff, board or volunteers) can write letters, send emails and make phone calls to prospective donors or members. 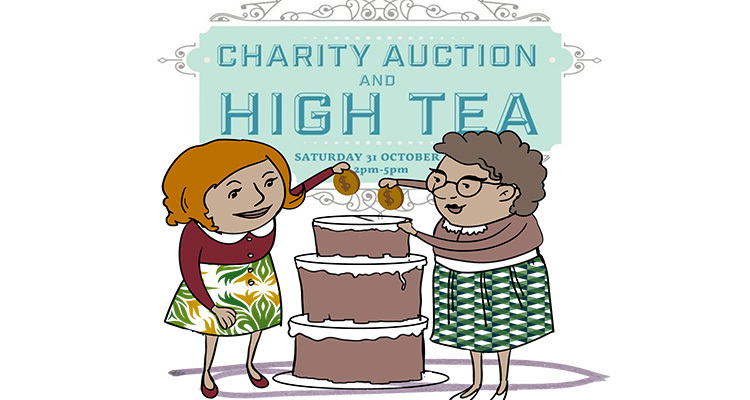 People can bid on donated goods or services at ticketed events or in standalone online auctions, including raising money for New Zealand’s prime minister to travel to the Copenhagen climate conference. Employers and large donors may match the value of gifts by their staff and others, essentially doubling the value of a gift. This can be a powerful motivator for a donor. 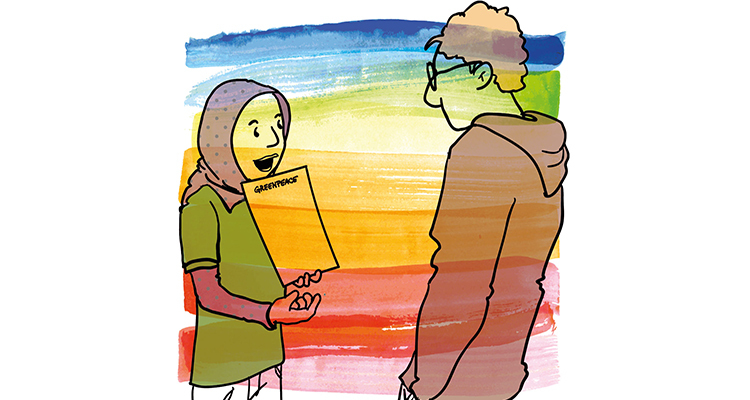 Representatives or a campaign or organisation can meet people on the street or at the door, talk about issues and request a donation as a way to get involved. Behaviour change has been (and remains) a goal of many advocacy campaigns. Activists have, for example, urged people to choose tap water over bottled water, recycle their waste, or purchase fair-trade products. Online platforms and social networks are rewriting the role people play in behaviour change campaigns. Word of mouth is more powerful than ever in the digital age: People can quickly learn what family, friends and colleagues believe through social media like Facebook, Twitter, or even text messages. Furthermore, people are increasingly making decisions based on the influence of peers and people like them as trust in brands and more traditional institutions like media or government plummets. Smart campaigns are using networks as social proof platforms and engaging more people than ever in behaviour change campaigns – like using online review sites to challenge corporations. Buying a fair trade or organic product is one way of showing social proof and influencing the behaviour of friends and family. Groups like Hollaback! (which campaigns to end street harassment around the world) are using social proof through well-supported, people-led public actions. The visibility of these events helps shift behaviour by providing social proof to participants, viewers on the street and online audiences. Hollaback! leads newbies through a series of simple entry-level actions, such as sharing their stories with the community or organizing a ‘chalk walk’ to the wholesale activation and leadership of a new Hollaback! local chapter. Social media platforms like Facebook and Twitter can be powerful (and fast) ways for people to spread messages and potentially influence friends and family. Some people are also using crowdsourced review sites and tools to pressure corporations, as Rainforest Action Network and SumOfUs recently did in a campaign to get Pepsi to stop using damaging palm oil in a new soft drink. Individuals and groups of people can disrupt or stop the work of companies, governments and other actors causing harm. These non-violent direct actions can raise the level and quality of public debate, engage people and provoke action from those with the power to change law and policy. 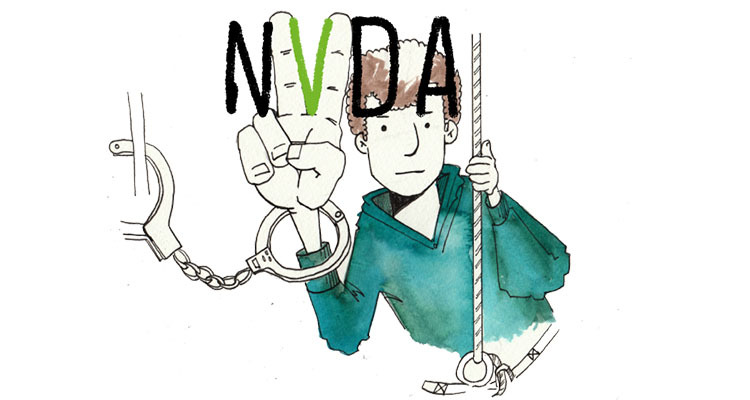 Efforts led by Gandhi and Martin Luther King, Jr. are often used as classic examples, but NVDA has a long history around the globe with thousands more examples big and small every year. There are countless examples of people breaking a law or social norm they believe is unjust. Rosa Parks refused to sit at the back of a segregated bus in 1955. Her act of civil disobedience inspired the American Civil Rights movement. More recently, Bree Newsome climbed a flag pole to remove the Confederate flag from outside the South Carolina State Capitol. People can physically block an unwanted activity to stop it or future activities like it from happening. In the US, for example, people surrounded and stopped buses of undocumented citizens to halt deportations and jump start national conversations about immigration reform. In 2015, Greenpeace activists and hundreds of locals temporarily blocked a Shell oil vessel from leaving Portland, Oregon, harbor. The action, streamed live globally via social media, generated extensive media attention and increased awareness of Shell’s arctic drilling activities. Everything mentioned here has been used successfully many times; almost every campaign involves a mix of these tactics. People are out there changing the world in these and other ways every day. So tell us, what’s missing from this list — and what’s next? 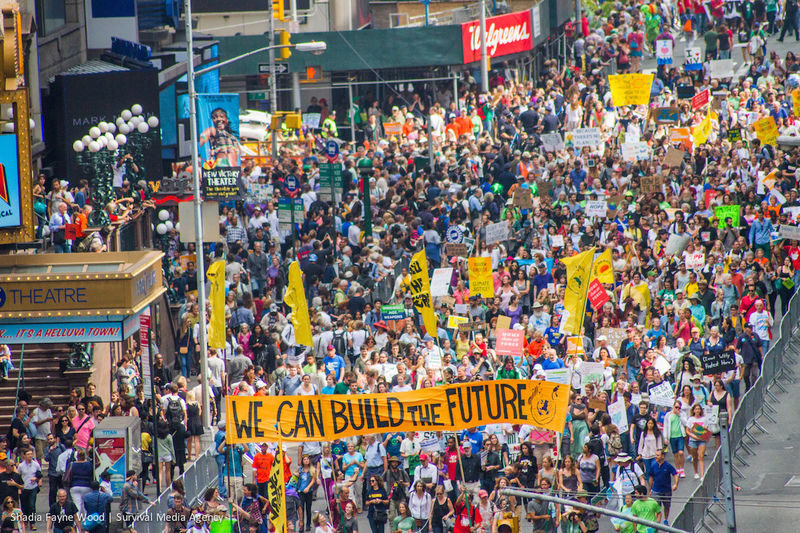 Top photo: The September 2014 People’s Climate March brought together millions of people in New York City and around the world, building power in a call for institutions to act on climate change. Photo by Shadia Fayne Wood / Survival Media.